Coming Soon - What's Happening in Mrs. Shirey's Classroom? 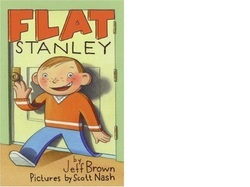 When we return from break we will be reading the story, Flat Stanley, by Jeff Brown. The students will have an exciting activity to prepare for after we read the book.